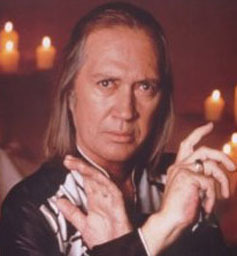 In sad news today, David Carradine was found dead in a Bangkok, Thailand, hotel early this morning. What fantastically shady circumstances, and hopefully he went out with a bang! (Update: Turns out it wasn't the excellent sort of passing I'd hoped for - sorry to hear) We all loved the guy around here at the Preserve, and it's definitely rough to have to share this with his fellow fans. I am glad that it has been the Breaking News on CNN.com for the last hour, though - at least they have their priorities right! Thanks for the good times.